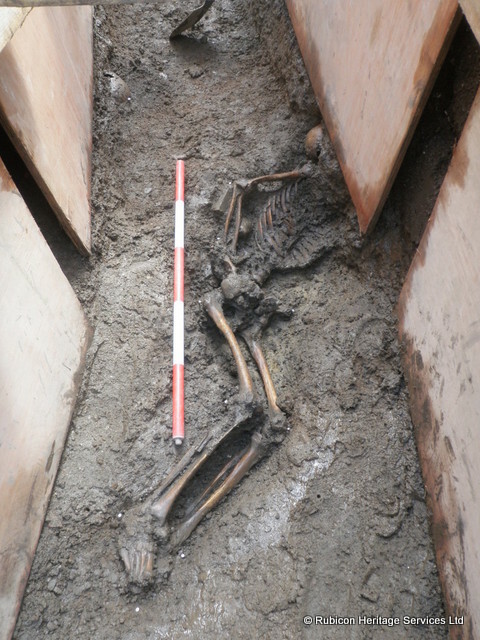 Exciting news emerged today about a number of skeletons which were recently discovered outside Trinity College, Dublin, by Rubicon Heritage Services. In total, the partial remains of five individuals were identified at a depth of 1.5m below current street level. According to Rubicon this is ‘well below the known level of post-medieval activity, suggesting the remains are most likely medieval or earlier in date‘. Somewhat unusually, the skeletons were laid out north-south, rather than east-west, which is the usual orientation for Christian burials. 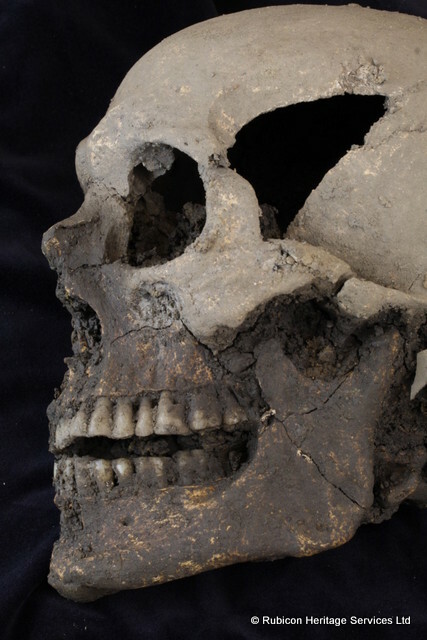 A visual assessment of the remains, carried out by Human Remains Specialist Carmelita Troy, ‘confirmed that at least one of the individuals was an adult male, while one of the others was a sub-adult, aged under 18 years at the time of their death‘. None of the burials appeared to be accompanied by grave goods. As noted by Gilligan, the location of the burials, in front of Trinity College, may indicate that they are related to an early Viking cemetery. This general area is referred to as Hoggen Green in medieval literature, with the word ‘hoggen’ being derived from the Norse word ‘haugr’, meaning burial mound. Indeed, two of these funerary mounds survived into the 17th century, when they were finally demolished, revealing the presence of an elaborate burial chamber inside one of them. 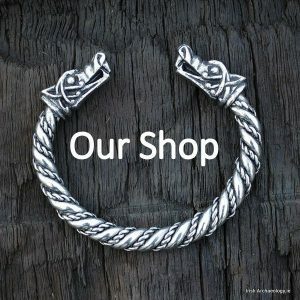 Further Viking graves were recorded at this location during the 19th century and a number of grave goods were recovered including two swords, four spearheads and a shield fragment. 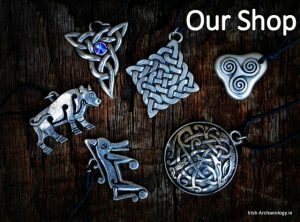 Thus the remains found outside Trinity College may represent pagan Viking burials, similar to ones recently excavated in Dublin city at South Great George’s Street, Islandbridge and Golden Lane. 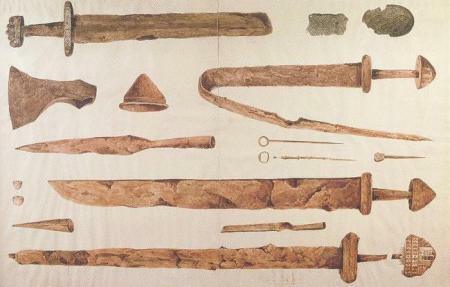 The absence of grave goods, however, is somewhat unusual for Scandinavian burials of the period, though not unprecedented. Another possibility is that the skeletons are related to the Priory of all Hallows, a medieval abbey, which formerly stood on the site of Trinity College, Dublin. Founded in 1166 AD by Dermot MacMurrough, king of Leinster, All Hallows was one of city’s most important religious houses until its dissolution in 1538 (at the behest of Henry VIII). The abbey would certainly have had an attached cemetery and this could explain the newly discovered burials. However, the north-south orientation of the graves makes it unlikely that they represent formal Christian burials, as would be expected in a cemetery associated with a monastery (although it must be noted that in times of duress, such as famine, war or plague, the orientation of burials was often less stringently adhered to, even amongst religious communities). 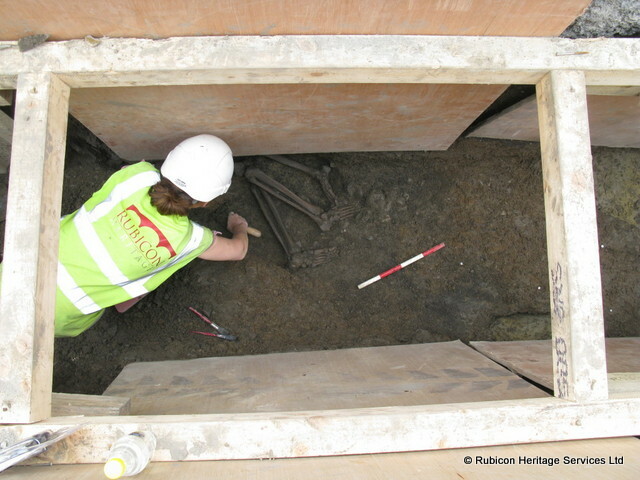 Rubicon Heritage Services are currently undertaking extensive environmental and osteoarchaeological analysis of the newly discovered skeletal remains and this will hopefully shed more light on who these individuals were, when they lived and how the died. I can’t wait to find out! Ask a silly question but… In a situation like this where archaeologists uncover skeletons, is there a protocol for contacting the Gardai? Is there some sort of dividing line of likely age of the skeletons (e.g. 200 years) up to which the dig is considered a police crime scene in terms of forensics, and before which the archaeologists are left to it? Many thanks for that, and the prompt reply. Could you kindly tell me if there has been any further updates to this story and the remains that were found?